Super robot hyper team pony force go! ...at least, that's what the game Iridescent Pony Warrior sounds like to me. I'm told the name is more or less a parody of bullet hell naming conventions in general. Iridescent Pony Warrior is actually a bullet avoider, meaning you spend more time dodging the flood of projectiles as you don't have to aim yours toward the boss. The full version, roughly slated for the beginning of Season 4, will contain more complete mechanics, and a variety of RPG elements to make the game more than just blasting. Don't write the game off as easy, though. True to its roots, even the demo of Iridescent Pony Warrior contains an additional set of challenges after the completion of hard mode. In the beta, a single shot will knock you out of the sky, so you've got to be on your toes. Have at it! If there's anything which could make me more disappointed about missing this convention, this is it! 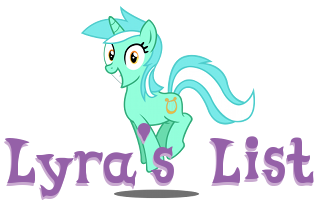 This year, Everfree NW will welcome Legends of Equestria, My Little Investigations, and MLP: Roleplaying is Magic, among others. 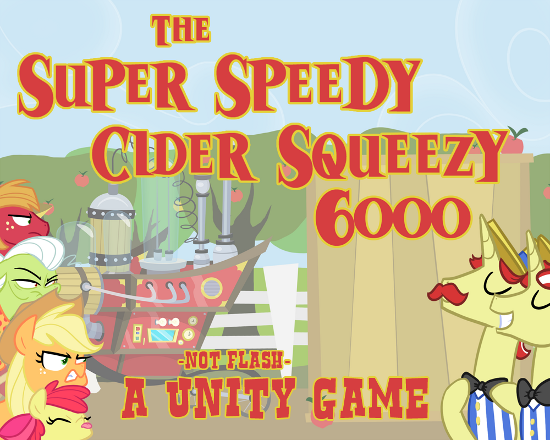 Additionally, Everfree NW and the Gaming Colts will host a game jam. Find the full press release after the break! Update time! Today we've got a trailer from the MLP: Elements of Harmony team and a long-awaited reveal from Starswirl Academy. You know where to click! Want more detailed information? The team also wrote up an official press release, which you can find below the break. Everybody loves shipping for some reason. I'm not entirely sure why that is, but some weirdo named Bobby Schroeder decided to make a silly RPG centered around the magic of shipping. Lo and behold, everybody thought he was bloody brilliant, and now he's made such splendid progress that his game actually has a demo (with a Mac port). Most fangames, even the ones assembled by big teams, don't make nearly as much progress as Bob has in this short period; in my opinion, he deserves a reward. Somebody go buy him a horse or something to make him feel good. My thoughts on this lesbian horse preview thing are after the break. 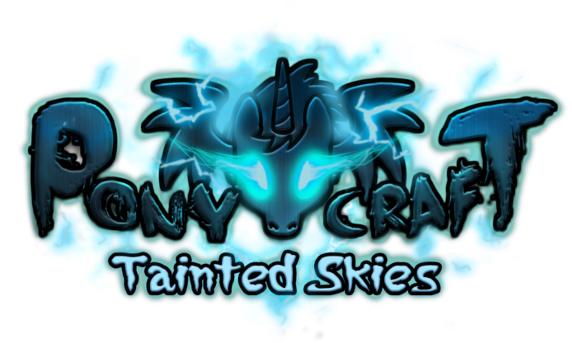 A couple days ago the folks over at Silly Mare Games (creators of Stroll and Harmony PCG) started working on another fangame they call "Nightfall", and from the released gameplay footage it appears to be some kind of sidescrolling strategy game. As this game is still in early development the final product is probably going to be quite different from the preview here, which is probably a good thing because in my opinion it looked a tad dull. The stock sprites probably have something to do with it, and the background looked a bit too bright for a game of this sort. After all, shouldn't a game called "Nightfall" look sort of dark? Not dark as in "the forces of darkness", mind you (although the team certainly could go in that direction), but more "it was a dark and stormy night". Just now, I'll bet you were sitting there, all blue, waiting for some high-speed, log-jumping, boulder-evading, Temple-Run-style 3D pony action. If you weren't, you should have been. Regardless, that's what you get. The download's a little slow, but the game's worth your while! Have at it. It has been quite the day for 3D RPGs we haven't heard from in a while! The Fallout Equestria RPG team has released a new update video, displaying the features they've been working on over the last few months. Notable among the new developments are day/night cycling, a full character statistics, inventory, and skills system, and the ability to outline complex paths for your character during combat. Hopefully, we'll get a demo or release date in the near future! So far this month has been rather slow for fangame-related news, as most of us have been busy preparing for our final exams and whatnot. Thankfully it appears that a few developers have been able to sneak in some time for development; for example, some guy named Petr Hudecek is getting close to completing his Princess Civilization game, but needs voice actors for Spike and Princess Celestia before he can do so. In my opinion he could probably use some better spriters too, because frankly the terrain looks awful. Gameplay should come before graphics, yes, but your average gamer tends to notice a game's art first and will make their decision on whether to play it or not based on how appealing its graphics are. Interested in helping Petr out with his project? Check out his design document over at https://docs.google.com/document/d/1PEARgE6fq206J_9PI9NmxRx1qJ6VePRwuJ6rs4M1xY8/edit, and then you can send him an email over at petrhudecek2010@gmail.com. Ahhh, RPG Maker VX. 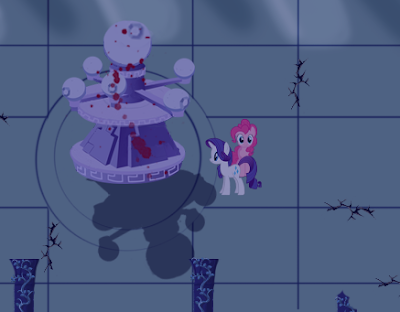 As an easy framework for creating Pony RPGs, it's spawned its fair share of poorly conceived games. Fortunately, the degree to which custom scripting and development is possible has allowed the development of several outstanding projects as well! 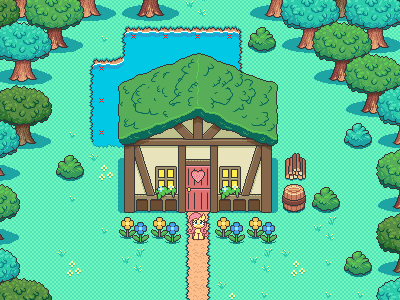 Regardless, RPG Maker is still a great engine for new developers to experiment with. Today, we have a starting resource pack and the demo for the upcoming project War of Harmony Part 4 below the break! 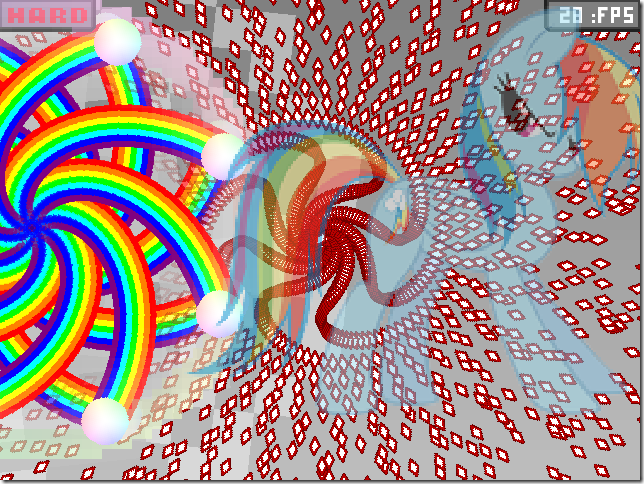 Some games grab you with graphics and a flashy intro, and others gradually grow on you until you're hooked. 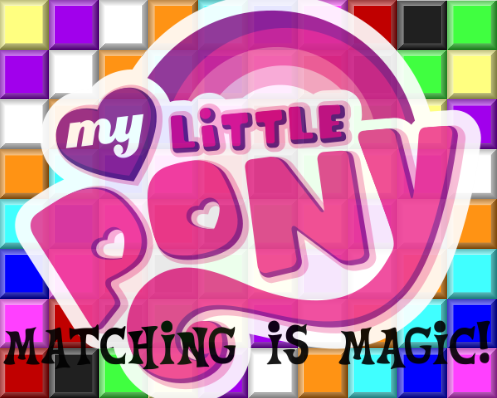 Surprisingly, I found MLP: Matching Is Magic to be the latter. 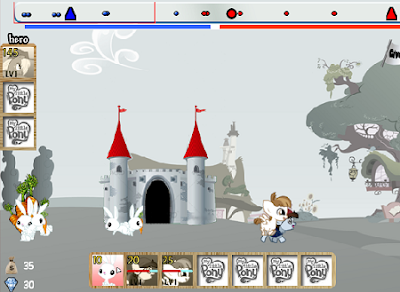 The game revolves around a very simple concept: assemble pony-containing blocks into groups of three or more to eliminate them, a la Shariki (Bejeweled). The twist is that there's no time constraint - rather, the number of pony types on the board increases based upon your previous matches until the rather easy game becomes an impossible one. Whenever you match a group of three for the first time, a block containing a new pony appears in its place, until you've worked your way through the Mane Six and beyond! Man, when May assessment season hits the fandom, it hits hard. This time of year, a lot of game developers (and us blogponies, too) are completely pinned down, but things should pick up speed as summer approaches. Baejongkim's Little Pony Big War is part strategy, part tower defense. In battle, the player must manage his resources, building mining bunnies and sending out troops to counter an onslaught of Diamond Dogs. Stylistically similar to the Flash classic Age of War, the goal is to build up enough troops to successfully destroy your enemy's base. The handy mini-map displays an overview of units on the screen and the status of the midfield turret. Although the basic premise is simple, Little Pony Big War has more than enough late-game content to keep you playing. Extra hero units (members of the mane 6) and infantry can be bought and upgraded outside of battle, and are a huge help during the later levels. 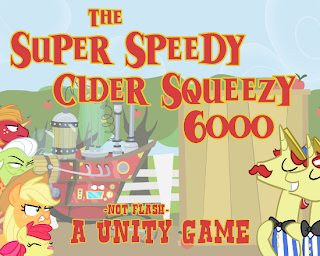 Overall, it's one of the better flash games I've played recently - Enjoy! We've seen TEMNO before via videos and whatnot, but now there's a playable tech demo for the game in case you want to try it out. Sadly the developer has said that he's cut the creepier elements of the game, but I still think that the final product should be fairly interesting. 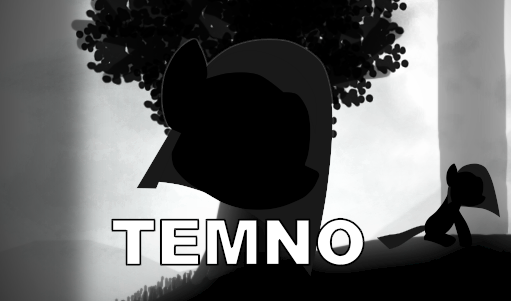 As to what I think of the game so far...I really can't say, as I haven't been able to get TEMNO working in Wine yet. Hopefully this will be resolved in the future, but in the meantime enjoy the game! Oh yeah, and the developers has requested that if you find any bugs that you report them to this email: temnogame@centrum.cz.